Osteopathy is a method of diagnosis and manual treatment. This method is officially recognised by both the NHS and the British Medical Association. Since 1993, osteopaths have their own statutory recognition. This allows patients that are treated by osteopaths to have the same level of regulation and safeguards as you have with medical doctors and dentists. Osteopathy focuses on moving, stretching and massaging a person’s muscles and joints as a way of detecting, treating and preventing health problems. Osteopathy is based on the principle that our overall wellbeing depends on our entire body: bones, muscles, ligaments and connective tissue need to function smoothly together as a whole. If one part of the body is not working well, it can trigger problems for the rest, because our system tries to compensate sometimes creating pain, inflammation or stiffness. Osteopathic treatments allow the body to heal itself. 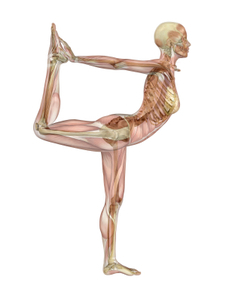 Osteopaths look for the cause of the imbalance and try to fix it, in order to recreate the body’s natural equilibrium. We use a range of techniques but do not use drugs or surgery. Dr. Steve Sandler D.O PhD, speaks of the origin and concepts behind osteopathy and gives a genuine insight into the profession. We evaluate our patients by looking at mechanical functionality but also by discussing posture, repeated movements and lifestyle. We then devise a treatment that is truly tailored to each individual, taking into account their needs and preferences. Our starting point is your structure, making sure that it is in balance between mobility and stability. We use hands-on manipulation, massaging and stretching to increase the blood supply to tissues, activate nerves, relieve tension points, relax and mobilise joints. We know this activates the natural healing powers of our bodies. We are strong believers in the effect of working on our lifestyle, day-to -day posture, daily stretches, and physical activity to ensure that our bodies stay healthy so to increase general wellbeing and prevent the return of symptoms. To become an osteopath you must complete a university undergraduate degree that is either four or five years long (it depends on the school). The course is similar to a degree in medicine; we study anatomy, physiology and neuroscience but then spend more time on courses such as biomechanics and musculoskeletal medicine. We also have to spend more than 1,000 hours (i.e. 125 days) doing supervised clinical training specific to osteopathic practices. Once we obtain our degree, we can only practice legally if we are officially registered with the General Osteopathic Council (GOsC). The British Medical Association has issued guidance that states that GPs can safely refer their patients to osteopaths for treatment.